Go2workplacement assists students enrolled in HSC VET courses to get the most out of their work placement. By completing the online modules they will identify specific skills and competencies to focus on during their work placement. On completion of the modules students are awarded a Work Placement Ready Certificate which informs the host employer that they have prepared for work placement. 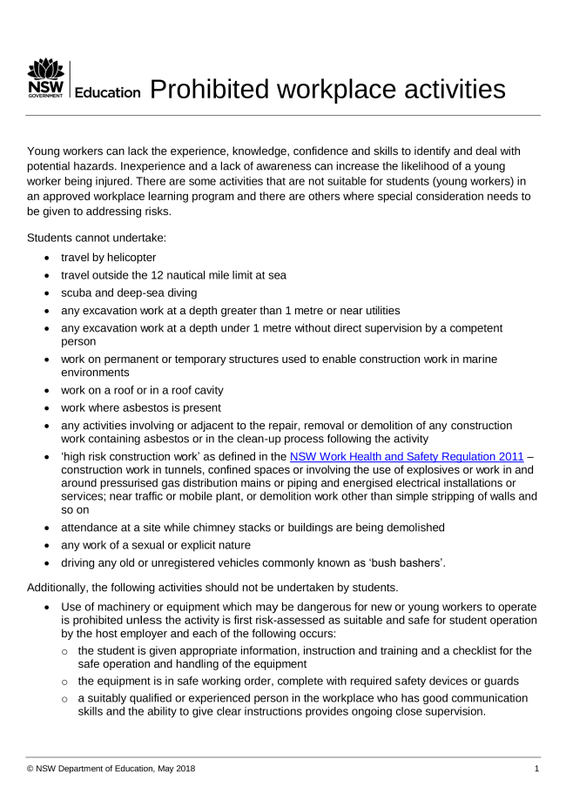 In association with The Department of Education, Public Schools NSW, TAFE NSW and Work Placement Service Providers this Go2Construction Work Health and Safety video addresses safety in the workplace and will assist you to prepare students for work placements on a construction site. SkillsOne Video Series - Work Placement - Are You Ready? Part Five - Are You Ready?